You may also find list of 200 idioms (with meanings and examples) and 200+ tongue twisters relevant. 1. A bad workman always blames his tools. This proverb is used when someone blames the quality of their equipment or other external factors when they perform a task poorly. Things we already have are more valuable than what we hope to get. When people we love are not with us, we love them even more. Example: When I was with her she always fought with me but now she cries for me on phone. I think that distance made her heart grow fonder. 4. A cat has nine lives. Cat can survive seemingly fatal events. 5. A chain is only as strong as its weakest link. One weak part will render the whole weak. Actions are a better reflection of one’s character because it’s easy to say things, but difficult to act on them and follow through. 7. A drowning man will clutch at a straw. When someone is in a difficult situation, s/he will take any available opportunity to improve it. 8. A fool and his money are soon parted. Foolish people do not know how to hold on to their money. 9. A journey of a thousand miles begins with a single step. Howsoever big a task is, it starts with a small step. 10. All good things come to an end. Good experiences eventually come to an end. 11. All’s well that ends well. As long as the outcome is good, problems on the way don’t matter. 12. All roads lead to Rome. There are many different routes to the same goal. 13. All that glitters is not gold. Things that look good outwardly may not be as valuable or good. Example: X: I want to be a movie star when I grow up. Y: Film industry looks good from the distance, but it has its own problems. Remember, all that glitters is not gold. 14. All’s fair in love and war. One can break the rules of fair play under extenuating circumstances. 15. Always put your best foot forward. Try as hard as you can or give your best. Example: You need to put your best foot forward in the interview if you want to land that job. 16. Among the blind the one-eyed man is king. An incapable person can gain powerful position if others in the fray are even more incapable. 17. An apple a day keeps the doctor away. Eating an apple a day will keep you healthy. 18. An empty vessel makes much noise. Foolish or stupid people are the most talkative. 19. An eye for an eye and a tooth for a tooth. If someone does something wrong, then they should be punished by same degree of injury or punishment. 20. An idle brain is the devil’s workshop. If you’ve nothing to do, you’ll likely think of mischief. 21. An ounce of protection is worth a pound of cure. A little precaution before a crisis hits is better than lot of firefighting afterwards. 22. A picture is worth a thousand words. It is easier to show or explain something through a picture than through words. 23. A rolling stone gathers no moss. A person who is always changing jobs and places has the advantage of less responsibilities, but also the disadvantage of no fixed place to live. 24. As fit as a fiddle. To be very healthy and strong. 25. A ship in the harbor is safe, but that is not what a ship is for. Get out of your comfort zone to grow and fulfill your potential. 26. A stitch in time saves nine. It’s better to deal with problems immediately rather than wait by when they worsen and become much bigger. 27. As you sow, so you shall reap. Your actions – good or bad – determine what you get. 28. A thing begun is half done. A good beginning makes it easier to accomplish the rest of the project. 29. Barking dogs seldom bite. People who appear threatening rarely can do harm. 30. Beauty is in the eye of the beholder. What may seem beautiful to one person may not seem to another. 31. Beauty is only skin deep. A person’s character, intellect, and other inner qualities are more important than his/ her physical beauty. 32. Beggars can’t be choosers. People who depend on the generosity of others can’t pick & choose things as per their liking. They’ve to accept what is given to them. 33. Better late than never. It is better to get something (you desire) late than get it never. 34. Better to be poor and healthy rather than rich and sick. Good health is more important than money. Example: The pharma tycoon has been in and out of hospital for the last two months because of kidney ailments. It’s better to be poor and healthy than rich and sick. 35. Blood is thicker than water. Relationships with family (or blood relatives) is stronger than other relationships. 36. Call a spade a spade. To say the truth about something, even if it is not polite or pleasant. 37. Clothes do not make the man. A person’s character can’t be judged by his/ her clothing and outward appearance. 38. Cowards die many times before their deaths. Cowards suffer the feared effects of death many times over in their lives. 39. Cross the stream where it is shallowest. To do things in the easiest possible way. 40. Curiosity killed the cat. Enquiring into others’ work can be dangerous. One should mind own business. 41. Curses, like chickens, come home to roost. The consequences of doing wrong always catch up with the wrongdoer. 42. Discretion is the better part of valor. It is wise to be careful and not show unnecessary bravery. 43. Don’t bite off more than you can chew. Don’t take more responsibility than you can handle. Example: I bit off more than I can chew when I said ‘yes’ to my boss for another project. 44. Don’t bite the hand that feeds you. Don’t act badly toward the person who has helped you or from whom you derive some benefits, for you may lose those benefits in future. 45. Don’t cast pearls before swine. Don’t offer something valuable to someone who doesn’t value it. 46. Don’t count your chickens before they hatch. Don’t make plans based on future events that may not happen at all. Example: X: I’ve to prepare for my campaign. Y: But you haven’t been nominated yet. Don’t count your chickens before they hatch. 47. Don’t cross a bridge until you come to it. Deal with a situation when it happens and not unnecessarily worry about it in advance. 48. Don’t judge a book by its cover. Just like you can’t form an opinion of a book just by looking at its cover, you can’t form an opinion about someone (or something) from their outward appearance. 49. Don’t kill the goose that lays the golden eggs. If you kill a goose that lays golden eggs, you destroy something that makes lot of money for you. 50. Don’t make a mountain out of a molehill. To exaggerate a small problem to make it seem like a major one. Example: One incorrect answer in the exam is not going to tank your grades. You’re making a mountain out of a molehill. 51. Don’t put all your eggs in one basket. Don’t put all your effort into a single course of action, venture, investment, goal, or the like, because if it doesn’t work, you lose everything. 52. Don’t put the cart before the horse. Do things in proper order. ‘Horse before the cart’ is the proper order, and not ‘cart before the horse’. 53. Don’t throw the baby with the bathwater. Don’t discard something valuable while getting rid of something worthless. 54. Early bird catches the worm. One who starts early on the work has higher chance of success. 55. Easy come, easy go. You say this when you get something easily and then lose it as easily. 56. Every cloud has a silver lining. Example: I know your business has suffered few setbacks this season. But remember, every cloud has a silver lining. 57. Every dog has his day. Even the unluckiest or the most unfortunate will taste success at some point. 58. Eat like a bird. 59. Every man has his price. Anyone can be swayed to do something. It’s just that some may demand high price, some low. This proverb is also used in the sense of bribing people. 60. Fall seven times. Stand up eight. Be resilient and try despite failures. That’s how you succeed. 61. First come, first served. Those who arrive first will receive first. 62. Fools rush in where angels fear to tread. Fools or inexperienced persons get involved in situations or pursue goals without much thought. In contrast, wise are thoughtful about such situations or goals. 63. Fortune favors the brave. If you carry out your plans boldly, the luck is more likely to favor you. 64. Get out while the going (getting) is good. To leave a place or situation before conditions worsen and it becomes difficult to leave. 65. Give them an inch and they’ll take a mile. If you give someone a small amount of power or freedom to do something, they may try to get a lot more. 66. God helps those who help themselves. God doesn’t help those who don’t try. You’ve to make effort if you want to succeed. 67. Go in one ear and out the other. If something you hear goes in one ear and out the other, you quickly forget it. 68. Good things come to those who wait. 69. Grief divided is made lighter. If you share your grief, it’ll get easier to bear. 70. Half a loaf is better than none. Getting less than what one wants is better than not getting anything. 71. Honesty is the best policy. It’s always better to be truthful and honest, even if the opposite may get you the benefits. 72. Hope for the best, prepare for the worst. Be optimistic, but be prepared for a scenario where things can go wrong. 73. If it ain’t broke, don’t fix it. If something is working fine, don’t change it unnecessarily. 74. If the mountain won’t come to Muhammad, Muhammad must go to the mountain. If things don’t turn the way you want them to, then adjust your way to suit those things. Example: I need that book for completing my assignment. If you aren’t coming to the college tomorrow, I’ll come to your place to take it – if the mountain won’t come to Muhammad, Muhammad must go to the mountain. 75. If you can’t beat them, join them. If you can’t beat your opponent, then work alongside them for mutual benefit. 76. If you play with fire, you’ll get burned. If you do something dangerous or adventurous, you may get harmed. If you don’t know about something, you don’t need to bother about it. In other words, if you’re unaware of something, it won’t cause you stress. This proverb, however, is often used in negative way – ignorance is not bliss. 78. It’s better to be safe than sorry. It’s better to be cautious than regret later. 79. It’s easy to be wise after the event. It is easy to understand what you could have done to prevent something bad from happening after it has happened. Example: I would have never bought an apartment if I had known that the land on which it has been built is disputed. Well, it’s easy to be wise after the event. 80. It’s never too late to mend. It’s never too late to change your wrong ways or habits. 81. It’s no use crying over spilt milk. There is no point in staying upset over a mistake because you can’t undo what has happened. 82. It’s the tip of the iceberg. If you say something is tip of the iceberg, you mean that thing is just a small part of the entire thing. 83. It takes two to make a quarrel. An argument of quarrel is not one person’s fault. 84. It takes two to tango. Where two parties are involved in a situation, fault usually lies with both if things go wrong. Rarely can one party be blamed entirely. 85. Keep your mouth shut and your eyes open. Speak only when necessary and remain alert and observant at all times. 86. Kill two birds with one stone. Solve two problems with the same action. 87. Laughter is the best medicine. Thinking positively and laughing will help you to feel better. 88. Learn to walk before you run. Learn basic skills first before venturing into complex things. 89. Let sleeping dogs lie. Don’t talk about a bad situation people have forgotten and that could unnecessarily create problem in the present. 90. Lightning never strikes twice in the same place. Misfortune does not occur twice in the same way to the same person. 91. Like a fish out of water. To feel awkward because you are in a situation that you have not experienced before. Example: I felt like a fish out of water during my first week in the college, as I hardly knew anyone there. 92. Look before you leap. Consider all consequences before taking an action, especially when you can’t retract. 93. Make an offer one can’t refuse. Make such an attractive proposition that it would be foolhardy for anyone to refuse it. 94. Make hay while the sun shines. Make the most of favorable conditions till they last. 95. Money doesn’t grow on trees. Spend money carefully because it’s limited. You can’t grow it on trees and replenish. Example: I’m surprised that you spent your entire month’s salary on a frivolous gadget. Well, money doesn’t grow on trees. Money gives one power and influence. 97. Necessity is the mother of invention. A need or problem forces people to come up with innovative solutions. 98. Never put off until tomorrow what you can do today. Don’t delay doing something if you can do it immediately. Example: X: I’m done with most of my assignment, but I’ll pick the remaining part on Monday. Y: Why don’t you complete it now? You’ll be more relieved and in a better state of mind. You shouldn’t put off until tomorrow what you can do today. 99. No gain without pain. It is necessary to suffer or work hard in order to succeed or make progress. 100. No news is good news. If you don’t receive any news about someone or something, it means that everything is fine and going normally. 101. Once bitten twice shy. You say this proverb when someone won’t do something a second time because they had bad experience the first time. 102. One shouldn’t miss forest for the trees. Sometimes you get so focused on small details that you may miss the larger context. 103. Out of sight, out of mind. If someone or something is not seen for a long time, it’ll be forgotten. 104. Paddle your own canoe. Be independent and not need help from anyone. 105. Pen is mightier than sword. Thinking and writing have more influence on people and events than use of force. 106. People who live in glass houses shouldn’t throw stones at others. People who have faults should not criticize other people for having the same faults. Doing something over and over makes one better at it. 108. Practice what you preach. Behave in the way that you encourage other people to behave in. 109. Rome wasn’t built in a day. Important work takes time to complete. 110. Silence is half consent. If you don’t object to what someone says or does, you may be assumed to agree to some extent. Example: He didn’t say anything to my proposal of going for a picnic on the weekend. I believe he is not saying ‘no’. Silence is half consent. 111. Slow and steady wins the race. Slow and consistent work leads to better chance of success than quick work in spurts. 112. Still waters run deep. If a person doesn’t speak much, it doesn’t mean they lack depth or are uninteresting. 113. Strike while the iron is hot. 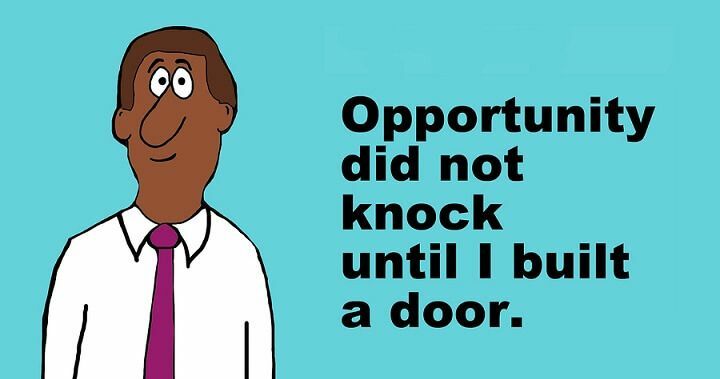 Take advantage of an opportunity as soon as it exists. 114. The best-laid plans go astray. Despite best preparations, things may not go your way. 115. The end justifies the means. A desired result is so important that any method, even a morally bad one, may be used to achieve it. 116. The harder you work, the luckier you get. The harder you work, the more good ideas and chances you may make for yourself. 117. The grass is greener on the other side of the fence. People are never satisfied with their own situation; they always think others have it better. 118. The pot is calling the kettle black. People should not criticize someone else for a fault that they themselves have. 119. The proof of the pudding is in the eating. You can only judge the quality of something after you have tried, used, or experienced it. 120. There are more ways than one to skin a cat. There is more than one way to reach the same goal. 121. There is no time like the present. The best time to do something is right now. So, act now. 122. There is safety in numbers. A group offers more protection than when you are on your own. Example: Her parents won’t allow her to date but do let her go to parties, saying there’s safety in numbers. 123. The road to hell is paved with good intentions. Good intentions do not matter if a person’s actions lead to bad outcomes. 124. The show must go on. A performance, event, etc., must continue even though there are problems. 125. The squeaky wheel gets the grease. People who complain the most are the ones who get attention or what they want. 126. The tail is wagging the dog. If the tail is wagging the dog, then a small or unimportant part of something is becoming too important and is controlling the whole thing. 127. Time and tide wait for no man. You’ve no control over passage of time; it’ll keep slipping. So don’t procrastinate, don’t delay things. 128. To know which side your bread is buttered on. Be aware of where one’s best interests lie. 129. Too many cooks spoil the broth. When too many people work together on a project, the result is inferior. 130. Two wrongs don’t make a right. You shouldn’t harm a person who has harmed you, even if you think that person deserves it. 131. What goes around comes around. If someone treats other people badly, he or she will eventually be treated badly by someone else. 132. When in Rome, do as the Romans do. When visiting a foreign land, follow the customs of local people. 133. When the going gets tough, the tough get going. When conditions become difficult, strong people take action. 134. Where there’s a will, there’s a way. 135. Where there’s smoke there’s fire. If there are rumors or signs that something is true so it must be at least partly true. Example: X: Do you believe those rumors about the mayor? Y: Well, you know what they say, where there’s smoke, there’s fire. 136. Where one door shuts, another opens. When you lose an opportunity to do one thing, an opportunity to do something else appears. 137. While the cat’s away, the mice will play. Without supervision, people will do as they please, especially in disregarding or breaking rules. Example: As soon as their parents left, the children invited all their friends over – when the cat’s away, you know. 138. You can catch more flies with honey than with vinegar. It’s easier to win people to your side by persuasion and politeness than by confrontation and threats. 139. You can lead a horse to water but you can’t make it drink. You can show people the way to do things, but you can’t force them to act. 140. You can’t always get what you want. Sometimes you may face disappointments in your pursuits or your wishes may not be fulfilled. 141. You can’t fit a round peg in a square hole. You can’t force someone into a role for which s/he is not suited. Example: It took me a while, but I eventually understood that I was a round peg in a square hole in the firm. That’s why I quit for a better fitting role. 142. You can’t have your cake and eat it too. To have two things that one desires, but they’re normally impossible to get simultaneously. 143. You can’t make an omelette without breaking eggs. It is hard to achieve something important without causing unpleasant effects. 144. You can’t perform with one arm tied behind your back. If you’ve to work with one arm tied behind, you work with a big handicap. 145. You can’t run with the hare and hunt with the hounds. You can’t support both sides of a conflict or dispute. 146. You can’t teach an old dog new tricks. People who have long been used to doing things in a particular way will not abandon their habits. 147. You can’t win them all. It is not possible to succeed at everything you do. 148. You scratch my back and I’ll scratch yours. If you help me, I’ll help you. 149. You should know which way the wind is blowing. Anticipate how a certain plan or situation will likely unfold. 150. You show me the man and I’ll show you the rule. Rules change depending on how influential or powerful the person likely to be affected by the rules is. ‘A learning dwarf jumps higher than a static giant’ is this good? Yes you are right . Please let me know the proverb which says, ‘Even though they have got differences of opinion, they are United’. Thanking u and looking forward to ur early reply. I’m very much pleased the way u have discussed important proverbs along with their abridged meanings. I shall be thankful if you please let me know the proverb which means, ‘Even though they have got differences of opinion, they are United’. It means that even though the people of the same group have different opinions they never fight if only one of the group members opinion is selected.All of them accept and go ahead. Mr crabs the guy at the top looks like squidward. Very nice, it helped me with my homework. THANK YOU! “Silence is gold, speech is silver.” You can include this one. …Thank you so much. I love it. Thanks for the meaning and examples of the proverbs. They are quite helpful for teaching material. Truly very helpful for all kids and school students…..